Vaiza CEO Violeta Martinez shares firsthand knowledge about the challenges and opportunities facing today's youth at the Global Youth Economic Opportunties summit in Washington, D.C.
Thirty-year-old Violeta Martinez might not fit the mold of a typical CEO in her native El Salvador, but she’s not afraid to push boundaries – or share the secrets of her success. The young designer and entrepreneur first forged her own path after high school, when she decided to pursue her passion for art. “My parents are engineers and very conservative, so when I decided to study graphic design, they saw it as a crazy decision,” she recalls. Artists and designers, she says, are not sufficiently recognized or supported in El Salvador. Undeterred, Violeta experimented with everything from furniture design to photography before finding her niche in handbag design. 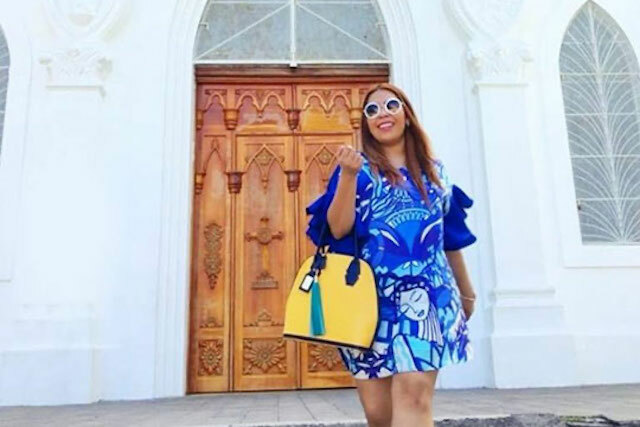 Today, her company, Vaiza, is a successful and growing brand of handbags, wallets, shoes, and other leather accessories, drawing on Latin American motifs. But in its nascent stage, Vaiza struggled through challenges that are familiar to many entrepreneurs in Central America and developing economies around the world. Shortly after launching Vaiza in 2015, Violeta heard about TechnoServe’s regional youth entrepreneurship program, Crece Tu Empresa, and wasted no time in applying. Funded by the Citi Foundation, Crece is working to address youth unemployment in Central America by providing entrepreneurial youth with one year of training on high-impact business skills, along with mentorship and networking opportunities. Violeta models one of her vibrant handbag designs. Photo courtesy of Vaiza. When she joined the project, Violeta was selling only three bags a month and losing money. Violeta’s Crece mentor helped her create a business plan, identify short- and long-term goals for Vaiza, and set prices for her products that better reflected their value. 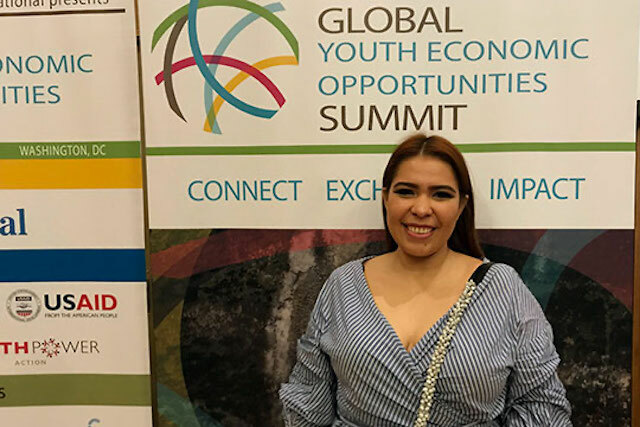 Speaking on a panel at GYEO, Violeta summed up the three key takeaways from her experience that all young entrepreneurs should heed. First, she said, be organized and have a plan. “I learned that I needed to create a business model and have a strategy,” she said. Second, have perseverance. By setting informed goals for one year, three years, and so on, Violeta advised, entrepreneurs will be less likely to give up early on. 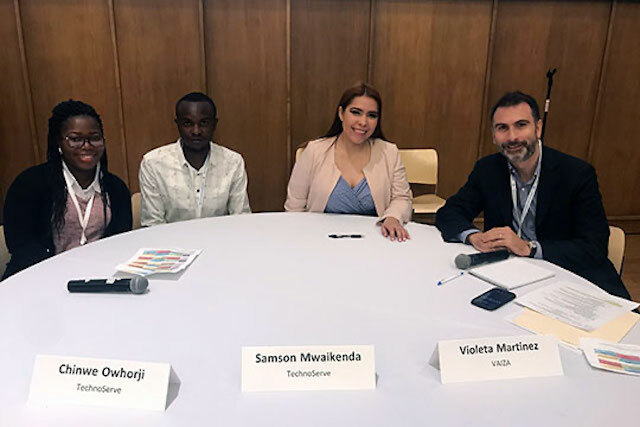 TechnoServe organized a panel called "Youth CEOs Speak Out: Range of Young Entrepreneurs Share Experiences, Challenges, and Ideas for Improvement" at the GYEO Summit on September 27. She started working with a women’s artisan group whose members were mostly single mothers living in neighborhoods known for gang violence in the outskirts of San Salvador. With some initial training and guidance on quality control, the group got to work manufacturing high-end products in Violeta’s shop in the capital. But Violeta quickly realized that the commute, particularly the return trip at the end of the day on public transportation, was dangerous for the women. Moreover, many of the mothers had no choice but to leave their kids home alone during working hours, exposing them to greater risk of engaging in gang activity. 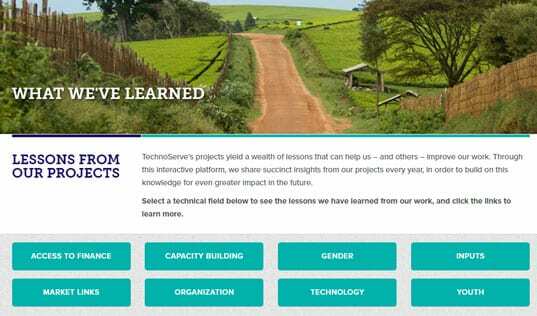 Instead of looking for new employees whose situations were easier to navigate – further contributing to the marginalization of the country’s most vulnerable population – Violeta worked with TechnoServe to revamp her operating model. “I came up with the idea: what if you work from home? 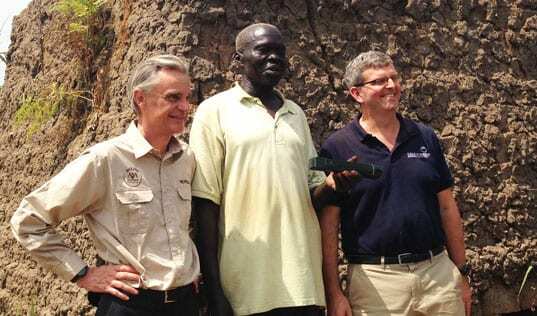 I go to your community and leave the machine and tools you need to make the bag, and you can be close to your children, keeping them safe,” she said proudly. She was relieved to discover that the new arrangement resulted in higher productivity, in addition to creating critical employment for 13 women. In order for these women’s jobs to remain sustainable, Vaiza had to be profitable. Working with Crece, Violeta created a detailed business plan and submitted it to a global competition held in Thailand. When she won first place, Violeta finally started to believe that the ambitious goals she set with her mentor were within reach. By the end of the project year, she had achieved the first set of targets and her sales increased more than fivefold. She gained visibility through trade shows, opened her first store, and started to export her products. In 2017, she opened a second store inside one of the biggest malls in her country. 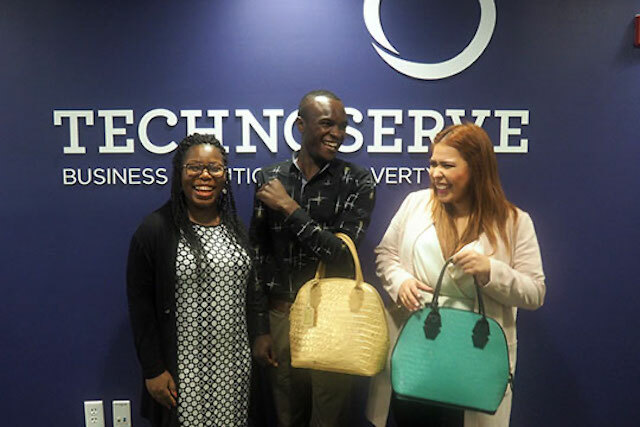 Samson Mwaikenda, center, tries on one of the handbags designed by fellow youth entrepreneur Violeta. The two panelists were joined at the forum by Chinwe Owhorji, left, who coordinates a TechnoServe youth entrepreneurship project in Nigeria called PAYED. Vaiza’s success is unique within the context of El Salvador’s fashion industry, but it is also illustrative of the growth that’s possible when young entrepreneurs receive targeted training and support. 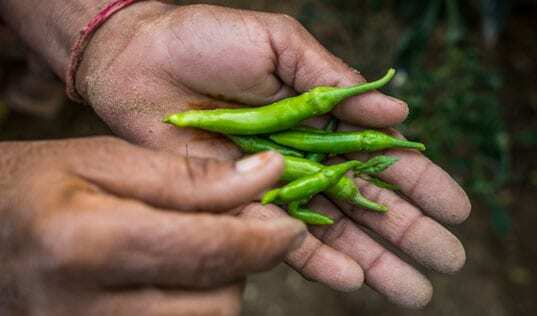 In its first three years, Crece helped more than 300 youth-owned businesses across a range of sectors in Guatemala, El Salvador, and Panama to grow their annual sales by an average of 78 percent. A new phase of the program launched this year seeks to support 150 additional businesses in these three countries. Young people like Violeta want to be more than passive beneficiaries of development projects. They want to help drive the interventions, policies, and decisions that can increase economic opportunities in their communities. And they are eager to inspire, empower, and create jobs for other youth. Forums like the GYEO show why it is so important to listen to their voices and give youth a seat at the table.